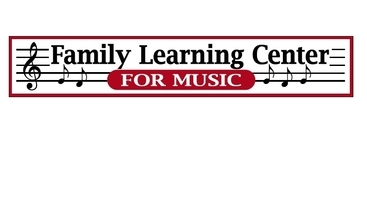 I would strongly recommend Family Learning Center for Music. We have seen great progress in our sons musical ability. He has also shown an increased understanding of music theory. They offer unique opportunities to perform such as open mics and jam sessions in-store and at local venues. -S.L. A great learning experience! I have learned so much in the five years I have been taking lessons! - J. G.
Our family is lucky to have GREAT MENTORS like the teachers at Family Learning Center for Music. YOU have encouraged a LOVE for music for us and we are so thankful. - G.B. 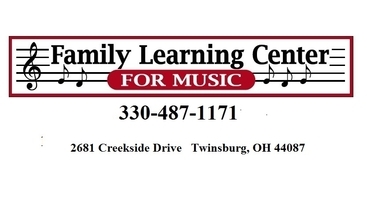 Family Learning Center for Music is a great choice for music training. The instructors are professional, the scheduling is flexible, and we found renting band instruments here to be very affordable and at a better price than other options. -A. K.
I took guitar lessons from the owner, Vince when we were both 16. Having spent several years as a working musician, 30 years later I bring my kids to Family Learning Center for Music for their lessons. I know I can trust the staff for professional music education and a great lesson plan. - D. J. My son takes guitar lessons at your facility... I am more than impressed and happy with everything! Our grandson, at the age of 10 decided he wanted to play guitar. We had been neighbors of Vince Menti the owner, when he was in high school and decided to go to Family Learning Center For Music. It has been the perfect decision. He now plays with other young musicians and their group has performed several times. He loves the guitar and is grateful to have the teacher he has. We bought his 2nd guitar and case from Family Learning Center For Music and at age 13 we are sure he will be a student here for a long time. - R. Q.
Instructor led jam session on a Saturday afternoon.